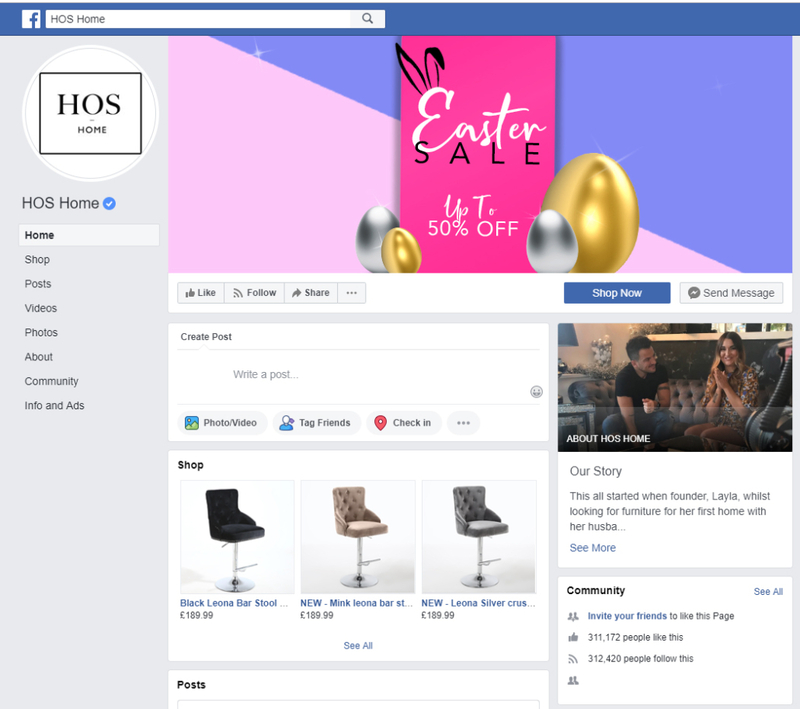 It i s great to read about the HOS Home – House Of Sparkles success and this is what inspires others to go for it and set up their own business. 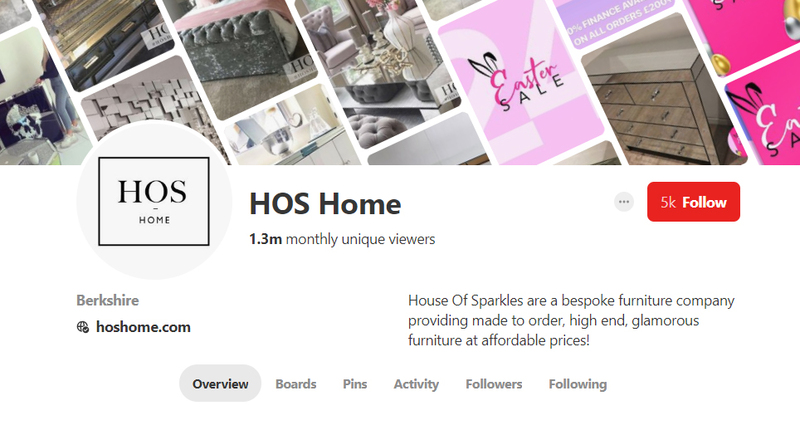 The website HOS – House Of Sparkles setup by Layla Chapman back in 2016 with according to the Sun News Paper for just £40 is now a booming success with a turnover of £10.7 million. 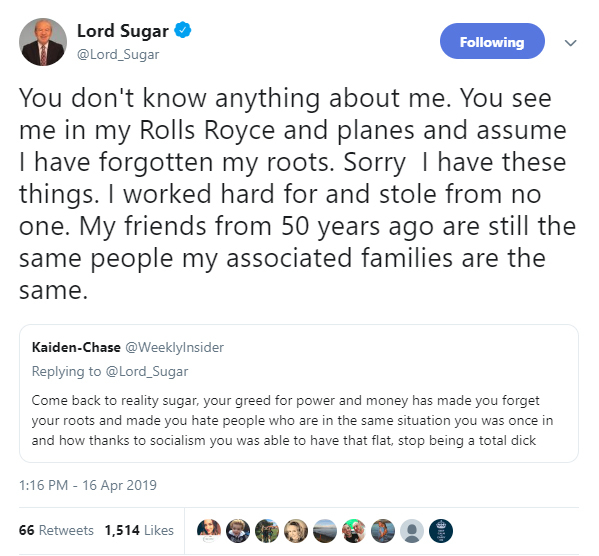 This is great to read and we really hope that people feel inspired by this but also understand that it takes a huge amount of hours and personal sacrifice with added luck to succeed. Previous failures often come before achieving success and the road to success is often difficult and we always admire success stories. Successful people have a ridiculous level of persistence in making their dreams comes true and we see people here at Chameleon on a daily basis that want to make it online and we create a plan to achieve success for everyone from what we do, but often people never realise how much work is involved once you make it. We think it is easy to read articles like this forget this fact and it is important to have this in the back of your mind so not have false hope. The road to success is a journey and you will never stop learning. Successful people learn new things every day improving a little and the snowball rolling effect makes them become great. This website success has been helped along due to celebrities such as Amanda Holden and Peter Andre and this is fantastic. We are sure that with the positive publicity the business it will grow even faster now as a result. We thought it would good to look to into this website further from an online marketing perspective because often success comes and businesses miss the basics. The growth of this company could come from hardwork, luck, organic growth, paid online advertising or something else and identify and help HOS achieve more growth from what we find. When a business comes to us and asks us to audit a company we look into everything to understand and identify how success has been achieved. We take a look at everything to understand what is good and what can be better, there is always something that can be better and we have been in the industry since 2001 and helped grow some of the most successful websites online today. 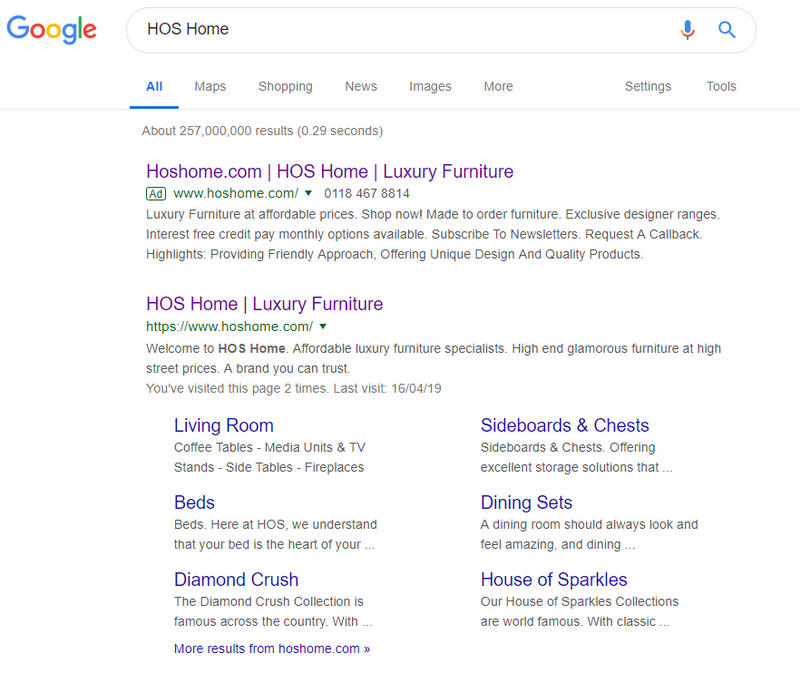 The website in 2019 looks in-line with the competition and when we look behind the scenes at search engine optimisation aspects of the website it is missing vital information for Google to help it rank organically and this is something that HOS Home online development need to look at. Normally we would run and audit using our in-house software and then make positive changes after looking over the results. The website is built using Shopify a hosted shopping website platform with multiple themes which requires very little programming experience. The website is using MailChimp for Shopify, Automatic Discounts, Searchanise, Covet Pics, Product Reviews Addon and MageWorx usage statistics as an example of plugins/extensions installed. The website is hosted in Canada and on a server that is hosting websites we would not recommend to have in the same neighbourhood. We look at hosting as this is part of the search engines algorithm. There is a possibility that all of the web sites on this web server may be affected as far as being blocked by web filtering software. 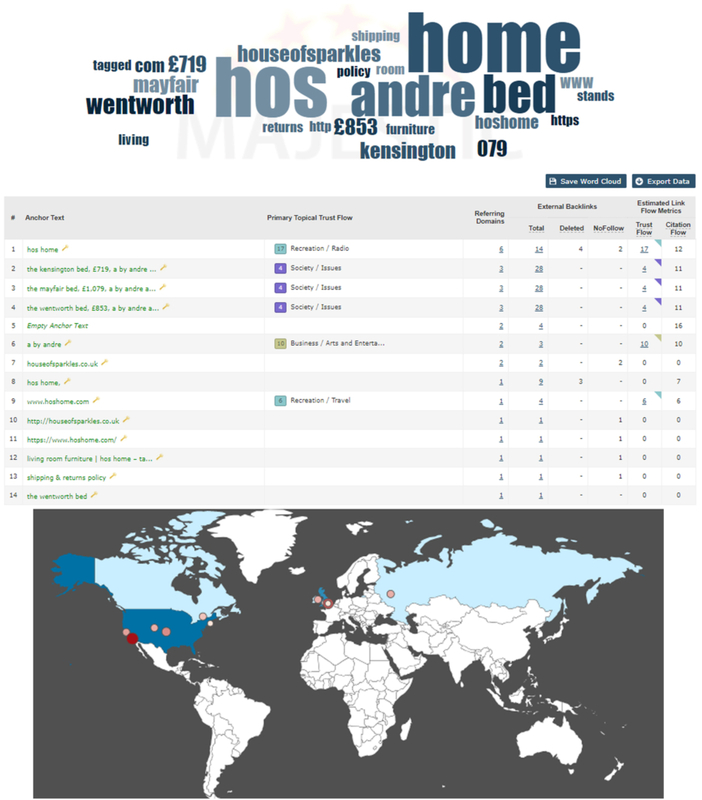 Search engine rankings for all web sites using the same IP address may be affected as well. We always recommend looking at the IP address and ensuring a website is hosted correctly with a unique IP address and SSL certificate. When you carry out a Google search can see the company is paying for Google Adwords for its brand name to protect it presumably. However, this will result in people clicking on this and adding additional costs to the business when visitors are already heading to the website. This could be improved but is in line with what Google is looking for in terms of the title and description. This page could be improved to help tell search engines like Google what the content is about, but is a great starting point to achieve online success. It is clear that from only looking at a couple of internal pages they follow the same pattern. This shows that what we presume this is automatically generated meta titles and descriptions and the job is partially done right. 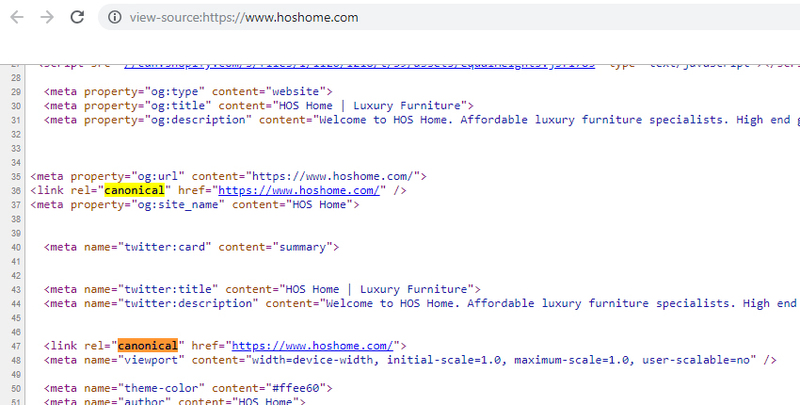 We scrapped the site to look to see what the Google spider would find and for example, we quickly found broken links on the website using our in-house developed scrapping software. In the screenshot, you can see also that another link has been built correctly, so this is a simple coding error when the page was created. As we carry on looking into the site we spotted the site has been built with an error using two rel=”canonical” tags across the site. A website should only have one canonical tag. A canonical tag is the method used to inform search engines that a specific URL represents the master copy of a page. Using the canonical tag prevents problems caused by identical or “duplicate” content appearing on multiple URLs. 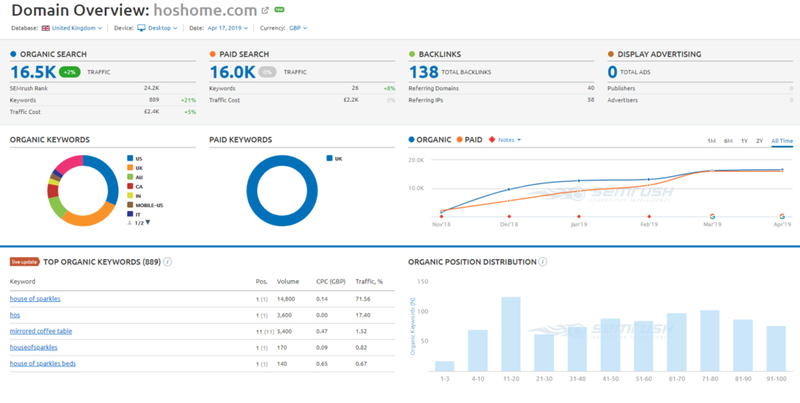 This is probably because it is being generated by Shopify and also by a second extension adding SEO data. A very important factor of ranking online is the power / trust a website has and this helps search engines determine whether or not to trust the website content and also it helps to identify the business links the website may have and the subject content to help place the website in a category. 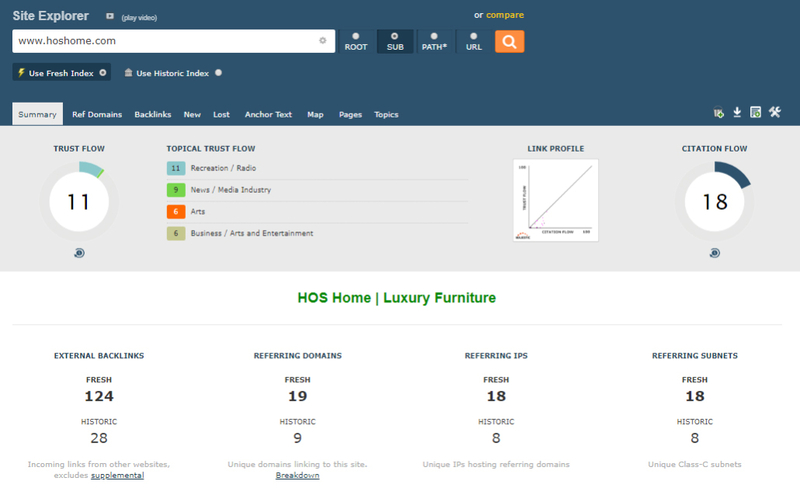 Looking below we can see out of 100 the website scores 11 in trust and 18 in citation. To increase the trust carefully selected backlinks need to be found and this is a subject in the SEO world that causes many issues. Here at Chameleon, we identify only the perfect links to try and find that will add value and we help clients create links organically by creating content that can be shared adding value to the users. 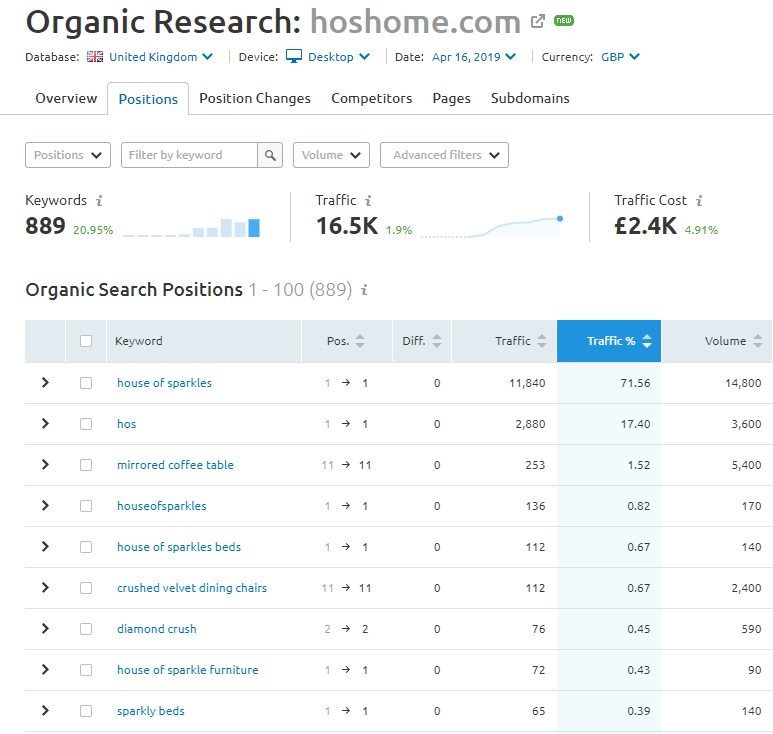 So from what we can see the website strength isn’t its online rankings for keywords, it is something else which points us to Social Media as the main growth point of this business. 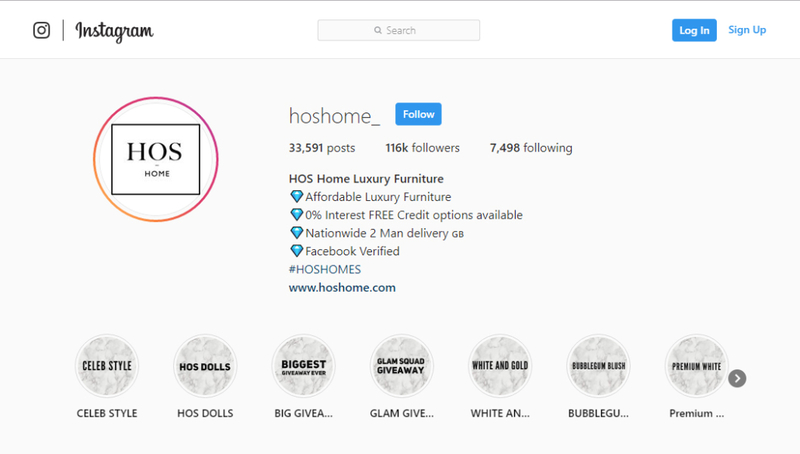 The Instagram account has 116K followers, but when we look at the sharing of posts this is relatively low which makes us think this is a lot of bot type accounts. 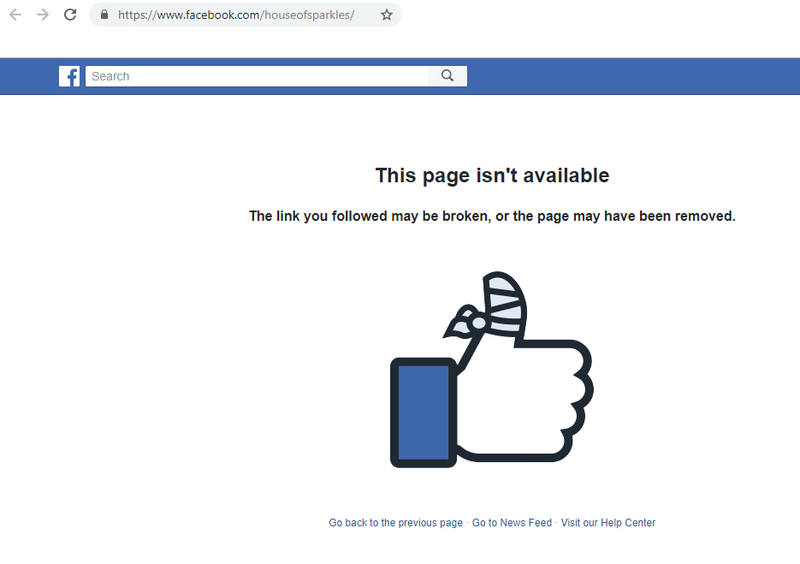 From what we can see with the linked Facebook page being broken / hidden we think that actual FaceBook page https://www.facebook.com/HOS-Home-1525053811125655/ is in the process of being merged. It appears that this business has grown as a result of Facebook and then recommendations from friends, family and celebrities which shows the power of social media. So What Would Chameleon Do Next? We would look at the website and hosting, ensure all the site is Google friendly and fix all broken links. 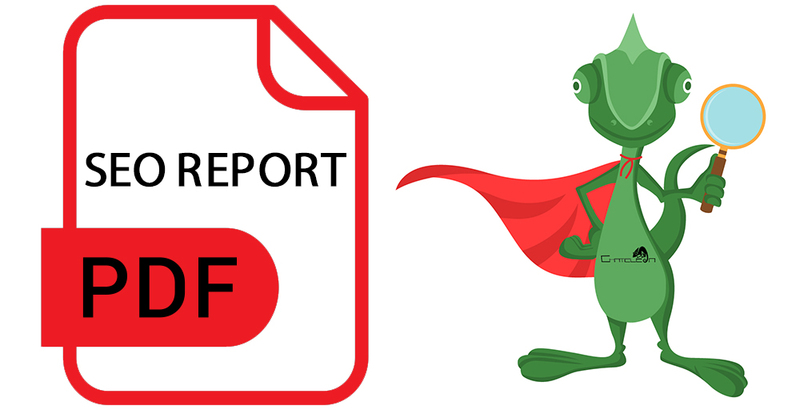 Ensure that all touch points are working, for example the Facebook link going to a dead page is not good. We would carry out on-page SEO across the entire website and make it fully search engine friendly and increase the trust of the website to help search engines like Google rank the content and grow the traffic to the website for keywords that are not brand related. The website could then take the power of Google and increase business turnover without spending on advertising. 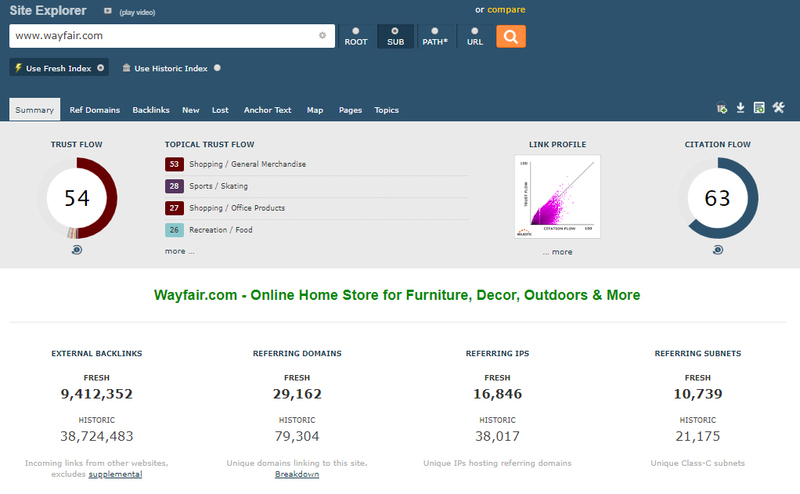 We would look at the images and get these ranked in Google search results for window shoppers to find by mistake and this would result in higher conversions because if people are actively looking for the products that are being sold by image then the very fact they click on the image to view it means they more than likely like what they see. If you would like to understand more about this or wish us look into your website or a competitors, please get in touch.